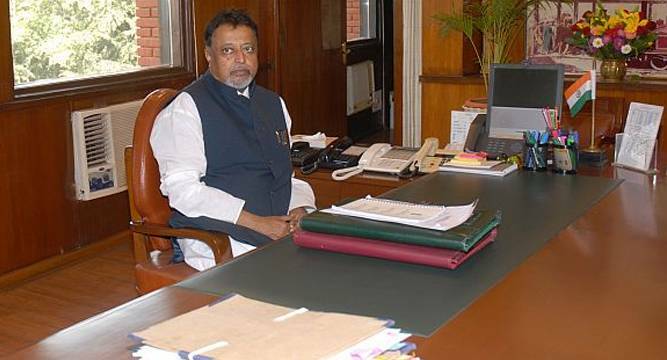 Trinamool Congress leader Mukul Roy today visited the party headquarters after a gap of one year and met party supremo Mamata Banerjee. Roy came to the party headquarters at around 4 pm in the evening and met senior party leaders, including Banerjee. Roy, a Rajya Sabha MP, had last gone to Trinamool Bhawan in February last year - just days after he was questioned by CBI in the Saradha ponzi scheme scam. Roy, who was once the number 2 in the party, was stripped off all party posts over strained relationship with Banerjee after his interrogation by CBI. But the situation started improving for Roy after he met Banerjee in Delhi in December last year. He also went to Banerjee’s residence on New Year’s Day this year.